No one makes as poignant and as powerful a movie about adolescent love better than the French directors. Jean Delannoy`s 1964 classic This Special Friendship (Les amitiés particulières) is a prime example supporting that argument. 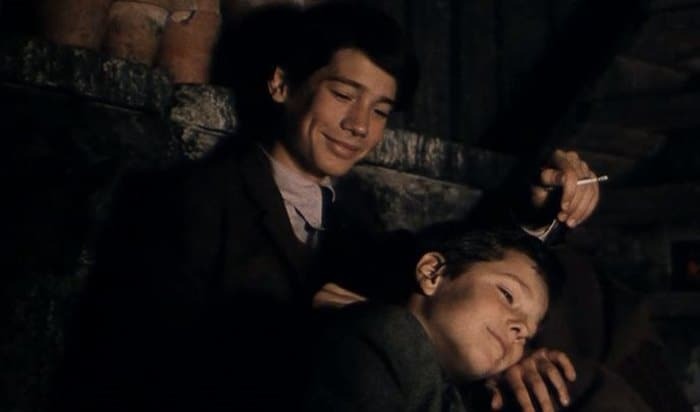 This is a review of a similarly themed film: Christophe Malavoy`s The Fire That Burns (original title: La ville dont le prince est un enfant). 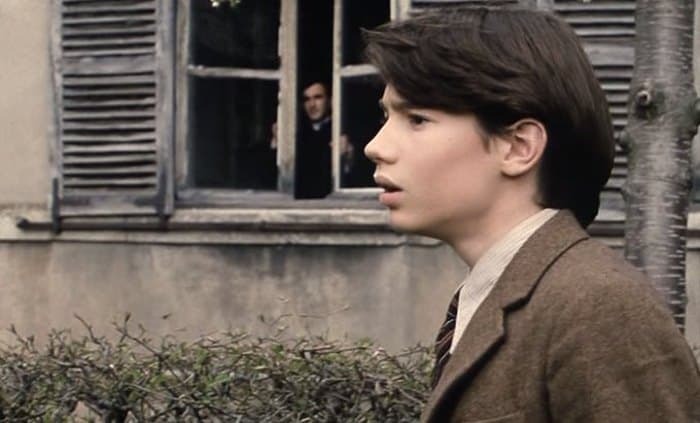 Adapted from the 1969 three-act play (later to become a novel) The Boys, by the French author Henry de Montherlant, the film relates the story of the passionate romantic relationship between two young pupils of a Catholic boarding school in France and the jealousy of a teacher (the Abbé de Pradts). The narrative of the film is so close to that of This Special Friendship that it must be noted that the author of the play found inspiration in his own life as a student in a Catholic boarding school. That, and his friendship with Roger Peyrefitte (the author of This Special Friendship), could explain why the stories of the two novels (and their screen adaptations) share so many common traits. Sixteen-year-old Sevrais (Naël Marandin) and 11-year-old Souplier (Clément van den Bergh) share a special friendship. They meet in secret and exchange small tokens of friendship, little gifts and romantic words in letters — always marked with “to be burned“ – aware that, while their relationship is not uncommon, it’s frowned upon and forbidden by the strict school authorities. To make matters worse, one of the teachers, the Abbe de Pradts, sees the young Souplier as his protégé (and fixation) and doesn’t want his own influence on the affectionate youth to be being interfered with. 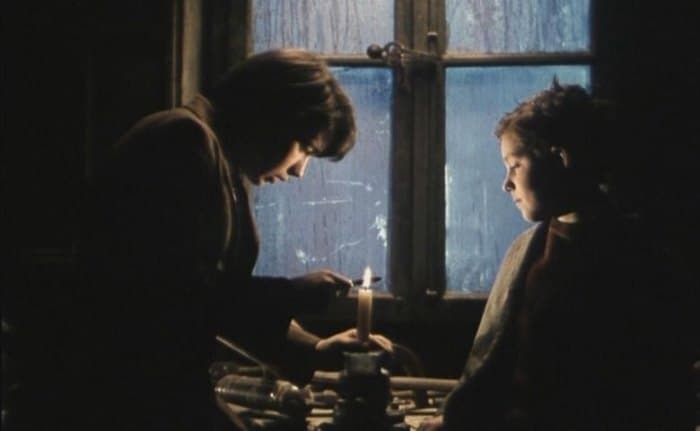 When Abbe de Pradts discovers the relationship between his pupils, his jealousy is awakened and he starts plotting a cruel plan to put a stop to it. 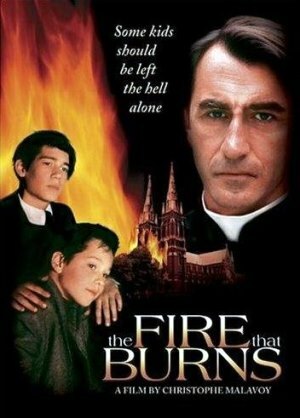 Initially screened on French TV back in 1997, The Fire That Burns was then released as a DVD in 2003. The cinematographic and aesthetic qualities of the film are so high that they generate a desire for repeat viewing of the entire film or scenes from it. A choir performance, an acceptance of Sacramental bread, the flight of a paper plane or an intimate moment and passionate kiss – regardless of the nature of the scene the director chooses to focus on — they are filmed in such a professional manner that it makes the story feel more true to life than ever. When it comes to the cinematography, the attention to detail makes the difference. 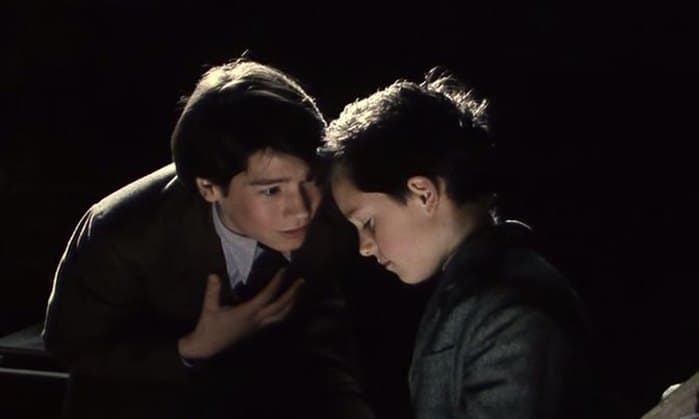 Small props and an imaginative use of lighting, shades and reflections create a sense of depth or intimacy that intensify the essential natures of character development of the young actors throughout the story. Regarding an evaluation of the performances of the actors, the fact is that the story manages to capture — not only the attention of, but also the mind of — the viewer of the movie. It inspires strong emotions of sympathy (or anger or antipathy) for the film’s protagonists. Clément van den Bergh, who plays young Souplier (fans of the Coming-of-Age genre may recall his lead role in Class Trip) delivers an authentic performance. Thanks to his emotive facial expressions one is truly able to recognize the mischievous nature of his character as well as provide him with the playfulness, innocence and vulnerability for which children of his age are known. The same comment is also valid for Naël Marandin (with whose character I have more reason to identify with) – whose friendliness, love, anger and agony are easily recognized as well as felt by the movie goer. The film’s director, Christophe Malavoy, undertakes the role of the third main character of the film – Abbe de Pradts. His character not only acts as antagonist to the young pupils in love, but observing his actions as right or wrong, the viewer attains a moral lesson – of what God and love really are. The Fire That Burns is a portrayal of young love, characterized by intensity, exclusivity, and intimacy that few other films offer. Although there are no inappropriate scenes in the entire film, some people (sadly) would find its story controversial. When Sevrais and Souplier ardently gaze at each other, such a gaze is rare in the cinema of today. Modern films tend to follow strict guidelines of what is and what is not acceptable to portray (which often results in fear, bullying and stigmatization). Friendship, love, rivality, obsession are among the issues addressed in The Fire That Burns. Both Sevrais and Abbe de Pradts want to be seen as role models for the young Souplier in order to have a positive influence on his growth and development. Yet despite the best of intentions, the disastrous consequences seem inevitable (then and even more so now-a-days). A must see film by all means!! I was not able to identify a single flaw in the storytelling – cinematographically or otherwise. That is why I highly recommend the film to audiences of all ages. Friendship, love, rivality, obsession are among the issues addressed in The Fire That Burns. A "must see" film!! Its a great film but I think waste a LOT of time in boring adult conversations instead of focus more in the young ones relationship. That long last speech to Praddis made me doze off and I though was going to be more meaning, but if is like you said, i really cant understand whatever the author was trying to show. I just know religious authorities and their ways are boring!